Safe work practices is one of things separate construction professionals from the rest of the crowd. 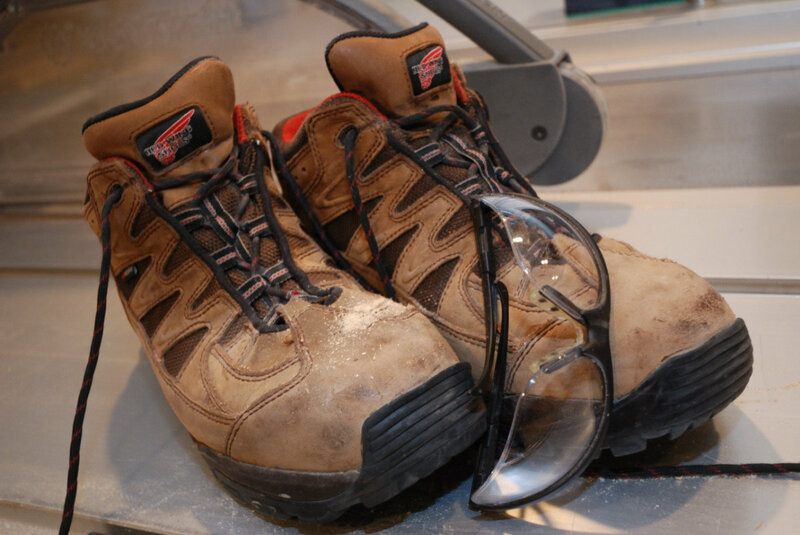 While the some of the choices are for comfort, steel toed shoes are for safety. There are a pair of earplugs close at hand. Safety glasses have never been fashionable. And the list goes on. Ok … so why do our customers care? An accident on their property is a liability. Contractors who think of their own safety are probably thinking of the safety and well being of their clients. After all, if I don’t care about going home in one piece, why would I care about your home? Oh, and if we have an injury, there is a good chance their project will not be completed on time. Liability, concern for their home, and taking precautions to assure on time delivery. All reasons for work place safety.